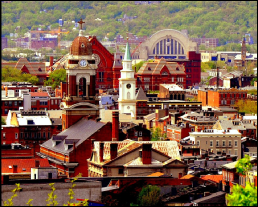 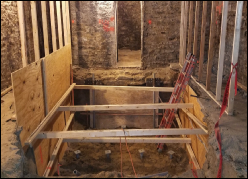 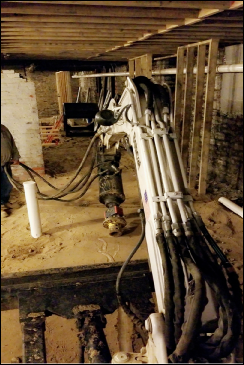 Structural Systems Repair Group (SSRG), with headquarters in Cincinnati, OH, was contracted by Triversity Construction, to install (22) helical piles as a deep foundation system for elevator pits at the Meiner’s Corner buildings project in the historic Over-the-Rhine district of Cincinnati. 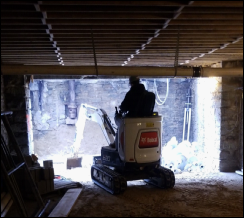 The major challenge involved in installation of helical piles at these historic buildings was the low overhead clearance (approximately 8 ft.) and access to the pile locations. 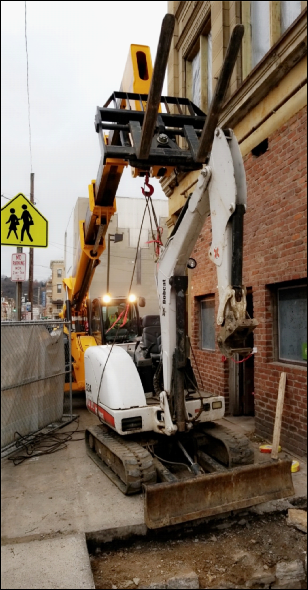 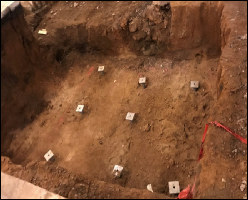 SSRG installed these piles in 5 ft. sections to achieve the required 40 ton ultimate capacity at an average depth of 25 ft. Equipment was lowered into the basement through a cut-out section in sidewalk.